A "nicely made auction" would include what mount it is (Rollei QBM 2 or 3 pin (it doesn't have the 1 pin's A/M lever) or M42 thread mount? (my guess 2pin QBM)) and where it was made (Singapore or Germany (my guess: Germany)). Supports open aperture metering on Voigtländer VSL1, -2 &-3E, Rolleiflex SL 350, SL 35M&ME&E, SL 2000F, 3001 and 3003. 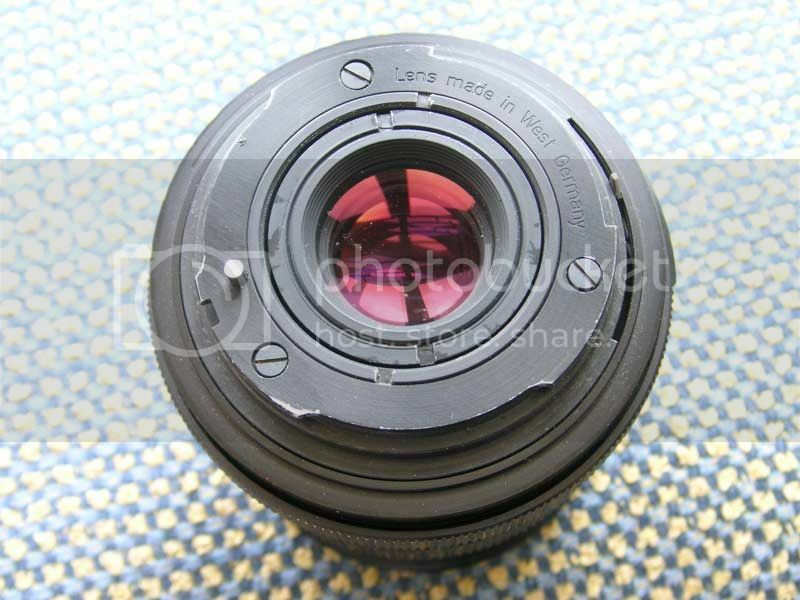 Does not support f-stop display in SL 2000 F, 3001 and 3003 viewfinder. The lens first appeared (to my knowledge) in Contarex mount as a "Distagon", it continued through the Rollei days, was made in Germany and Singapore with and without "HFT" and lived on as "Zeiss MM T* Made in Japan" with the Contax/Yashica-mount (without the MM it was made with Yashica-mount in Germany too) ... it's a pretty good lens, but as a user the Sigma 2,8/24 super mini wide is noticeably superior (don't mention this when selling ;-). Rollei supplied a nice dedicated square push-on shade. 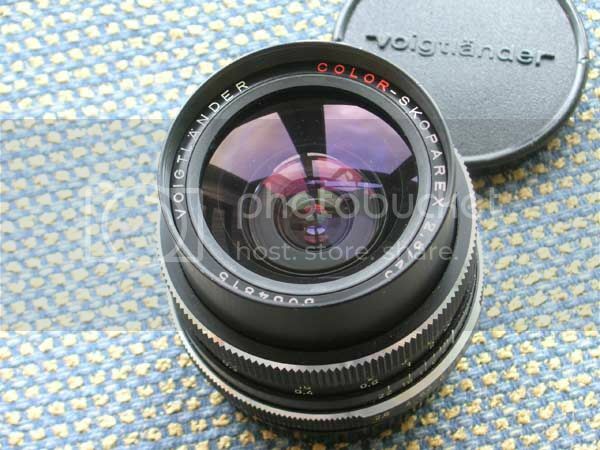 Re: Voigtländer Color Skoparex 2,8, 25 mm - any opinions?